Can I use a continuous light with an Octa Beauty? The Octa Beauty 24 and 30″ collapsible beauty dishes can be used with low-heat output continuous lights, specifically LED and Plasma. Tungsten and HMI fixtures are not recommended due to the materials used to construct the Octa Beauty, and exposure to high heat may damage the fabric body. Most LED or Plasma fixture that can accommodate a Chimera dedicated or circular Octa (8 pole block) speed ring will support the Octa Beauty. Because the range of light output shape can vary from fixture to fixture, we recommend bare bulb lights to effectively fill the Octa Beauty. 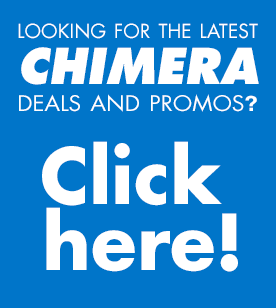 https://chimeralighting.com/wp-content/uploads/2017/08/chimera-lighting-logo-copy.png 0 0 Chimera Lighting https://chimeralighting.com/wp-content/uploads/2017/08/chimera-lighting-logo-copy.png Chimera Lighting2017-02-21 12:04:592017-07-03 13:36:17Can I use a continuous light with an Octa Beauty?